thanks ashley hawk for the liebster award nomination! less than 200 followers and it's a great way to boost your "blogosphere"! 1. thank your liebster blog award nominator on your blog and link back to the blogger who presented this award to you. 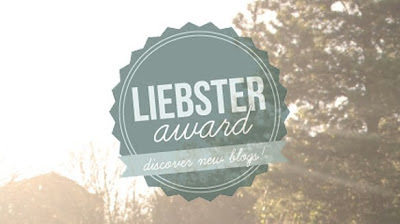 3. present the liebster blog award to other blogs of 200 followers or less who you feel deserve to be noticed and leave a comment on their blog to let them know they have been chosen. i am awful at keeping a hand written journal and blogging is a fun way of keeping a journal. and it's a great way to connect with friends and make new friends. if you had to describe yourself using five words, what would they be? do you do anything special to get ready for bed? i try to do these three things: wash my face, brush my teeth, and take out my contacts. but sometimes one of them gets left out because i'm too tired. i'm no beauty guru, but i've recently been exfoliating my body with baby oil and sugar in the shower (i want to try coconut oil!) and it makes my skin feel so soft. my all time favorite movie? i love SO many movies, but first ones that come to mind are remember the titans (i love denzel) or elf. who is the one person you know you can go to with anything and why? natalie thatcher. she is my best friend and we can talk about everything with each other. we always have fun, even if we are doing absolutely nothing. i'm extremely passionate about my family. i'm grateful every day that they're mine. 1. cabin in the mountains or beach house? 8. what is something you're passionate about? 10. what's your ideal date?